Beautiful Renovated 3 Bedroom Home in Aldergrove! Our friends said that this home is too nice to be a rental, but we disagree! We are happy to provide a home that anyone would be proud to live in!!! Welcome to 8518 190 Street! You will be proud to entertain your friends and family in this incredible home!! Imagine living in a 1800 square foot two story in the prestigious neighborhood of Aldergrove! This three bedroom plus den, three and a half bathroom home has been partly renovated, and exceptional architectural detail as thought it was never meant to be a rental. If you have preconceived ideas about rentals being dumpy… toss that thought right out the window!!! Entertain with pride! The tones in the main living area give the home a warm friendly feel. You will be amazed when you enter into the spacious foyer and living room, accompanied by a gorgeous brick fireplace! The main floor will have all new high end laminate throughout with designer tones of "Worldly Grey" on all the walls. Fully repainted and ready for you to just move in! The living room and dining room directly connect with the kitchen. A well sized den, just off the living room can be used as a family room, or as a “home office” so you can work from home! Create gourmet meals with ease in your spacious kitchen and serve them in your dining area…then retire to the living room for after dinner entertaining without ever leaving the main level! The washer and dryer are conveniently located in the basement with lots of room for storage! The renovated basement houses a den plus an additional family room and a beautifully tiled half bath. It’s great for entertainment!!! Enjoy evening barbeques in the landscaped spacious back yard! The upper level has three spacious bedrooms! At the end of the day retire to your large master bedroom with ensuite! Never scrape your windshield again! Park in your double attached garage! You will be proud to call this home and your friends and family will be so impressed! Location, Location, Location! You are 5 minutes from the Whitemud Freeway and the Anthony Henday Drive, putting you within reach of every section of Edmonton! 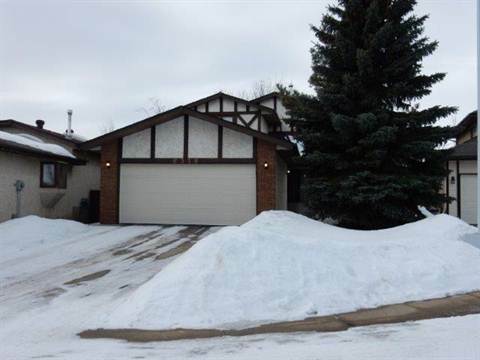 This home is surrounded by schools, parks, shopping centers and not to mention, the famous West Edmonton Mall! This home is available NOW for $2,189 per month, with a $2,189 security deposit. We look forward to having you as our renter in this beautiful home! P.S. You Won’t Believe How Good You Will Feel When You call This Beautiful House…Home!!! 01-May-2019 - Immediately If Preferred! 1 Bedroom 1 Bath Industrial Style Condo in the Ice District!!! Fully Renovated Executive Fully Furnished 3 Bedroom 2 Bathroom Condo For Rent in Garneau!! !